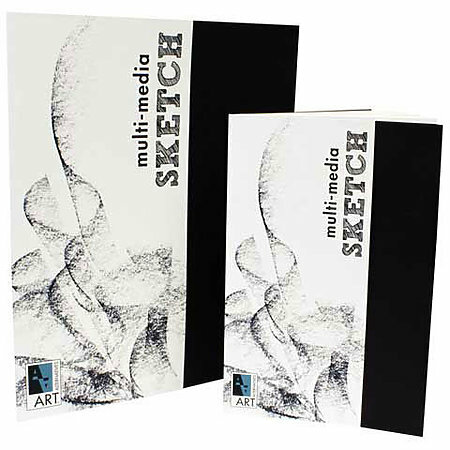 Perfect for travel, special studies, workshops and classes, or as a note book and sketch diary, this book is capable of handling just about any media - pencil, charcoal, pen and ink, pastel, markers, light washes and multi-media techniques. Its flexible paper cover makes it easy to slip in a bag or pocket and allows it to open flat so drawings can spill across both pages. Each staple-bound book contains 24 sheets (48 pages) of 90 lb. (130 gsm) acid- and chlorine-free bright white paper sourced from sustainably managed forests.